Chewy Gobstoppers are a spin-off variation of the Original Everlasting Gobstopper. 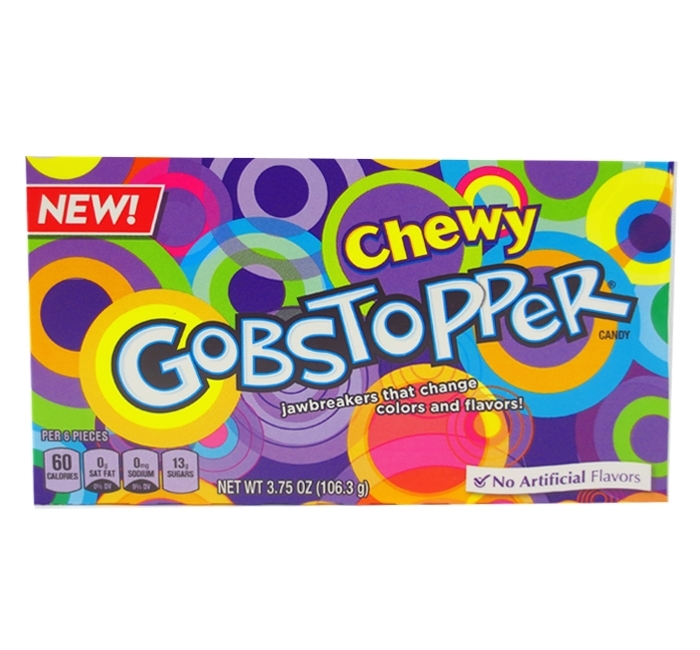 Like the original, Chewy Gobstopper has layers and layers of fruity flavors, but unlike the original Gobstopper which has a delicious SweeTart like center, Chewy Gobstoppers have a chewy center for chewy enjoyment! The delivery was awesome got them on time and product was great. I have ordered multiple times and have only good experiences EVERY time. Thank you! I can not find these easily in stores and so happy to have found Whole Sale Candy Shop online to deliver. Wish it didnt cost so much for the delivery lol but its NOT a terrible amount I would just rather buy more YUMMY CANDY from you than to give it to postage..ðŸ¤—..and grateful my orders arrive quickly and ohhhh soooooo good always...also when I had a question I received an answer almost immediately ...I've referred this company to many other people and will continue to do so...well..AFTER I make my next order from you first lol!!! Thanks for being AWESOME!!! Extremely fast shipping and the candy was perfect. Wow, got my candy super fast. Will order from again.